What Makes a Company Great? That was the title of an article in Forbes magazine that was written for investors. The answer provided may surprise you. The article quotes Warren Buffet who said, “Beware of the geeks bearing formulas”. The point is that there is so much more to a company than can be quantified with numbers. Satisfaction is especially important to service-related businesses. That includes both customer and employee satisfaction. In fact, the two are closely linked. Employees are the face of a brand. They are the ones who interact with the public on a daily basis. At GSI our objective with every account is to exceed expectations. To accomplish that, it is imperative that we meet the needs of our employees, especially our officers. Building a culture and environment that allows our employees to flourish and that shows appreciation is vital to our overall success. We use three primary vehicles to accomplish this within our workforce. Security is one of the few industries that provides full-time income opportunities that can be balanced with a full-time class schedule. At GSI many of our officers started their careers as a guard while attending college. These students are hardworking career minded individuals that have a lot of potential for growth. For example, Edgardo Gallardo started his career in security as a student. When he started with GSI, he took an entry level position as a guard. Edgardo showed initiative and it wasn’t long before he was promoted to post commander, then he worked for a time in HR and now he works in operations. Another example is Fabian a career minded security professional who quickly moved up the ranks to become the Security Director for our Skyview Center account. The list goes on and on. It feels good to know that we can make a real difference in peoples lives. We always seek to make the opportunity available. We have helped students, mothers, retirees and many others. We accomplish this by thinking about ways we can help them excel and helping them map out a path that will get them to where they want to go. Maybe our company becomes the vehicle to help them get there, or maybe we are just one of many along the way. Either way, we feel privileged and proud to have had a role in their lives. At GSI we always seek to build a culture of gratitude and appreciation. Recognition for a job well done is a big part of that, but it is not enough. We also demonstrate our gratitude through our policies, processes and procedures. We show gratitude to our employees by keeping workloads manageable and providing the support and recognition they need in a number of ways. One way we do this is through our employee appreciation luncheons. These are events where we bring in food vendors and let our guards know we appreciate them by breaking bread together. Another way we show appreciation is through quarterly awards. 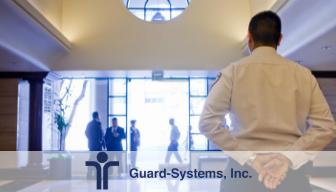 Each quarter we look to award outstanding individuals who exemplify what it means to be a Guard-Systems, Inc. officer. One officer and one supervisor receive this award each quarter. We also join with ASIS International for Security Officer Appreciation Day. At these events, we seek to recognize officers for their outstanding performance, presentation, dedication to the organization, passion for the well-being of customers and going above and beyond the call of duty. Now we just added our “On the Spot Awards”. The first officer to be recognized with this award was Latonya Collins. 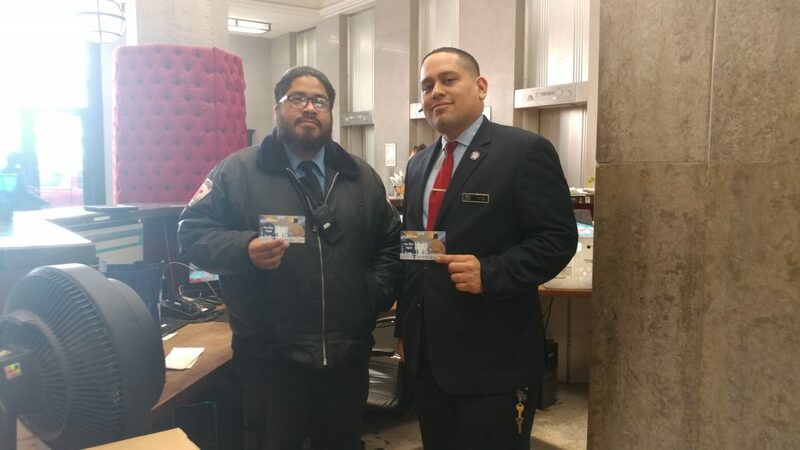 More recently, we have provided “On the Spot Awards” to officers Ronald Guillen and Eduardo Garcia for addressing and professionally handling a trespasser. Of course, our management team is also key to creating a positive work environment. Managers perform daily inspections and make it a point to encourage officers, letting them know how important they are and that they are doing a great job. Continual education and training are required for our officers to truly flourish. Officers who are well trained and supported are going to be happier and will handle their responsibilities more effectively. Building a culture of appreciation always begins with leadership. Three times a year GSI holds a Leadership Conference to show our appreciation for our leaders. 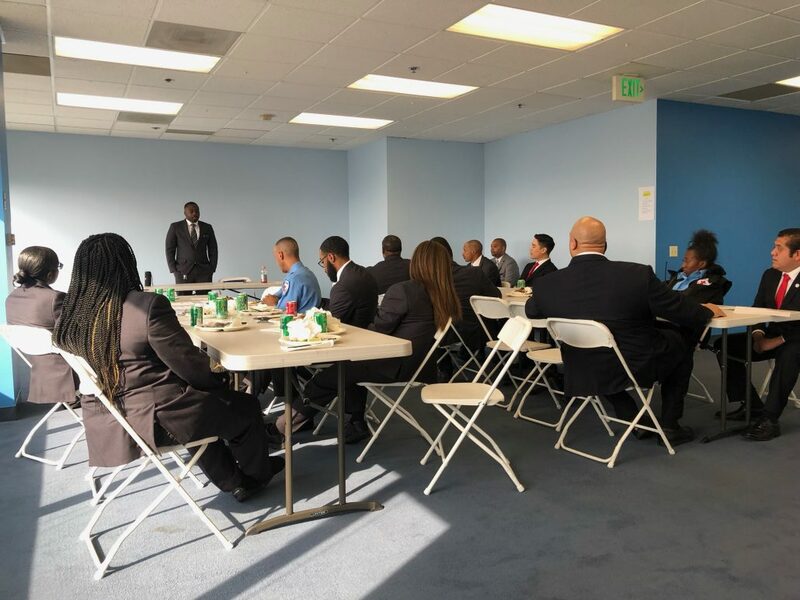 The conference included supervisors from principal accounts throughout Southern California. I always enjoy these conferences because they strengthen relationships and the skills of our team. Our quarterly staff meetings are another effective way to train and educate our officers. These meetings support and contribute to the overall Success of GSI. One of the highlights of these meetings is the opportunity we have to hear from our clients. Their valuable feedback is essential to improving our services. On-site we provide customized training. This is needed to understand how security personnel should interact with tenants, visitors, employees and others. This training goes beyond basic state requirements and allows us to consistently deliver higher quality security services. At GSI we consult with management teams to customize a training curriculum that is designed to give on-site security personnel the understanding they need to work in-line with what a property manager is striving to achieve within a specific community. These training courses cover various roles and duties of professional security personnel. Trainings feature scenario-based interactions and videos that are in accordance with the officer’s day-to-day responsibilities. Completing these courses are a requirement and officers are tested on their understanding and retention. As I mentioned, our goal is always to exceed expectations. Numerous studies have shown that companies which do well in satisfying their customers outperform those who don’t. Amazon ended up buying that company for $1.9 Billion, so it seems that this philosophy works. It does take a lot of effort to deliver customer and employee satisfaction. However, great companies are willing to put the work in to help their employees be great, so they can deliver great service. http://guardsystemsinc.com/wp-content/uploads/2019/01/great-company.png 192 336 GSI /wp-content/uploads/2016/08/Guard-SystemsLogo.png GSI2019-01-16 00:52:412019-01-16 01:12:35What Makes a Company Great?